Come to class a few minutes early to avoid being part of the herd. Make eye contact with your professor as you walk in. So easy Britney Spears can do it! How does this lead to better grades? I and my fellow teachers and professors can tell you that no matter how hard we try to be fair in our grading, bias still seeps through. It might be on that ambigumously spelled word in your essay that leaves us scratching our eggishly domed pates. Should we give full credit? “Ambigumously?” Are they kidding? Is it an actual misspelling or a joke? Must be a joke. Shazzam! Full credit for you! It gets better though. The end of the semester rolls around and your class average works out to an 89.3, but a semester’s worth of smiles can easily be worth eight tenths of a point. “A” for you, young padawan. 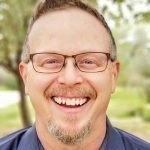 Feel too much like sucking-up or brazen manipulation? Puh-leeeez. If that’s the case immediately cease your personal grooming regimen too you manipulative weasel. Imagine the effrontery! Trying to dress yourself in such a way as to be perceived as a competent and likable adult. Next, go by their office (during their office hours of course) with a follow up question or two. Introduce yourself again if they don’t call you by name. Make the questions pertinent and short. You don’t want to wear out your welcome. It often helps to take a returned paper or test and ask a question about that … nothing confrontational, of course … just looking for advice. They’ll see your name at the top, reinforcing it in their mind. No matter how much they like you, most prof’s won’t give you an “A” for “C” work, and don’t ever skip their class, because they’ll notice it now for sure. P.S. You did take a look at my study skills ebook, didn’t you? 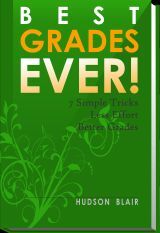 Don’t miss out on all the slick tricks and powerful techniques for scoring the best grades ever (with less work). This is very helpful, because Iam kind a shy. I love this tips. Most of the time I have the right answer and I just can’t talk. If you have any advice about this please? There is lot’s of good advice out there on overcoming shyness. Try this article for a start. Small steps are the key to building any good habit, so try challenging yourself to ask at least one question in one class per day. Do that for a week or two (don’t forget to reward yourself! ), and then start doing it twice per day. Keep building, and soon you won’t even think about it! I was terribly shy in high school myself. I’ve slowly built up to where I now regularly teach classes and give seminars in front of sometimes hundreds of people. If I can do it, so can you! Let me know how it goes.